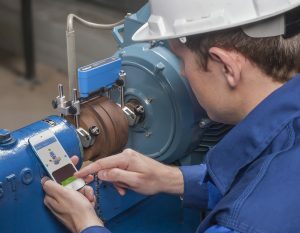 The TKSA 11 is an innovative shaft alignment tool that uses smartphones and tablets and intuitively guides the user through the shaft alignment process. With a focus on the core alignment tasks, the TKSA 11 is designed to be a very easy-to-use instrument that is especially suitable for alignment learners and compact applications. The TKSA 11 is the first instrument on the market that uses inductive proximity sensors, enabling accurate and reliable shaft alignment to be affordable for every budget. Live view of the instrument and motor position makes the measurement and horizontal alignment intuitive and easy. 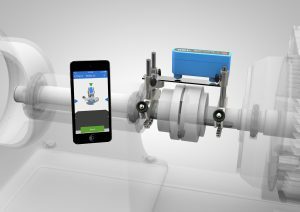 The TKSA 11 app offers a fully functional demonstration mode allowing the complete alignment process to be experienced without the need to purchase the TKSA 11. The TKSA 11 is designed to give a fast return on its investment and is also affordable for almost every budget. By using inductive proximity sensors, the measurement is no longer affected by bright sunlight, the influence of backlash is reduced and the instrument becomes more robust. All enabling the TKSA 11 to deliver accurate and reliable shaft alignment. Also available as TKSA 11D with rugged, industrial display device and pre-installed apps included.